The fifth anniversary of Calgary’s 2013 flood is coming up, and we’re all reminded of how rainy it can be here in late spring and early summer. Sewer backflow is a damage vector that you can actually do something to prevent, and chances are your insurance company will reward you for doing so. A Flood is a Flood is a Flood, Right? 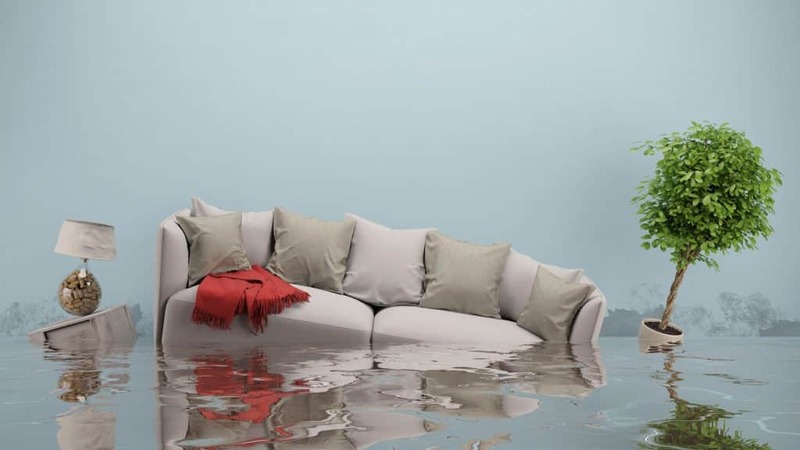 There are several different avenues by which flood damage can occur, and insurers treat each differently. For example, insurance companies will have at least three different flood categories: storm surges (coastal), overflowing waterways (fluvial), and heavy rainfall (pluvial). We don’t need to worry much about hurricanes in these parts, and most homes in Calgary are situated above the riverbanks and flood plains. However, overland flooding from intense rain events can affect any part of the city. When this occurs, sewer backflow is a possibility, especially if you live adjacent to a community of a higher elevation. Backflow is a blanket term used any time water flows in reverse of its intended direction, but where your sewer outlet is concerned, it’s a pretty ugly condition! Sewer backflow happens when the municipal drainage system overflows and gravity forces polluted water backward through a sewer pipe into your basement. It’s most commonly due to a massive amount of water either from rain, rapid snow melt, or both. Because the backflow contains wastewater from many different unsanitary sources, it not only does property damage, but also creates a severe health hazard. Immediate proper clean-up is essential to prevent risk of disease and further damage to property. There are many reasons such flooding might be more or less likely– if it happens often, your local sewer may be under-designed and in need of a refit– but you have no control over the functionality of the city sewer! What you CAN do is prevent sewer backflow by adding preventive measures to your own plumbing system. A simple solution is to add a check valve on the main drain line; it’s a simple gate that permits flow in only one direction. This is the least expensive type of backflow prevention and the type most often installed. A check valve is ideal for short-term backups lasting less than a full day– the type caused by unusual rain events. Like all sewer valves, once the flapper closes, water use inside the building must be limited. When the backup recedes, the check valve will automatically allow the waste water from your home to flow out to the public sewer. Like all equipment, the check valve needs to be routinely maintained and should be cleaned once a year to ensure the flap opens and closes fully. Besides backflow prevention, there are other measures you can take to lower your flood risk, such as the addition of a sump pump or a water alarm. For any unwanted water in your home, there’s a solution we can provide. Give us a call to discuss your needs, then check with your insurance company; you may be able to renegotiate your rate.